Did the tu.org website change? Yes! Please check out our latest blog post complete with FAQs to help you transition as smoothly as possible. We’ve rearranged everything on the site, and hopefully you find it easier to find what you’re looking for. We’ve also made sure that the site works well on phones and tablets. Other than that, there are hundreds of small improvements throughout the site that we hope you enjoy. When was TU founded? How many members does TU have? Trout Unlimited was founded on the banks of Au Sable River in Grayling, Michigan in July of 1959. A group of concerned Michigan anglers banded together to ensure the health of trout, their habitat, and the sport of angling. Just two years later, the fledgling conservation organization had won its first victory: Michigan had replaced its indiscriminate stocking of catchable-sized trout with stream improvement programs, fingerling planting, and protective fishing regulations. Word of success in Michigan spread quickly and conservation-minded anglers in other states, from Pennsylvania to California, joined together under the Trout Unlimited banner to affect similar change in their trout fisheries. From the beginning, TU has built upon its reputation as an organization of conservation-minded anglers who rely upon sound scientific principles to promote quality trout and salmon fisheries. TU is now 300,000 members and supporters strong, with over 400 chapters and councils nationwide. Does TU have a party affiliation or contribute to political campaigns? As a non-profit organization, TU can neither endorse political candidates, nor contribute to their campaigns. TU’s national office, based outside of Washington, D.C., and its regional offices employ professionals who testify before Congress, publish a quarterly magazine, intervene in federal legal proceedings, and work with the organization’s 300,000 members and supporters in over 400 chapters and councils nationwide to keep them active and involved in conservation issues. How is TU's grassroots organized? What is it's hierarchy? Every TU member has the benefit of a local chapter membership. Local chapters meet periodically to plan conservation and other activities. Meetings often include a speaker or presentation on angling or conservation. Chapters within each state are organized into councils, which are in turn in communication with TU National. Each council also elects one representative to serve on the National Leadership Council (NLC). Build the organizational capacity of TU’s Board of Trustees (BOT) that guides the organization’s business operations. The Board of Trustees (BOT), meets in person three times a year to review and approve financial and organizational decisions. The Nominating Committee of the BOT nominates individuals to be the 22 members of the BOT. The Chairman and Secretary of the NLC fill two of the BOT positions. The remaining eight positions are filled by Grassroots Trustees – nominated by the NLC. All BOT members serve two-year terms and can serve up to three consecutive terms. The National Office, based outside of Washington, D.C., employs professionals who testify before Congress, publish TUs quarterly magazine, and work with TU’s grassroots volunteers to facilitate local conservation work and angling activities. What does catch and release mean? Why is it important? TU encourages trout and salmon anglers to voluntarily practice catch and release because of its proven benefits to trout and salmon populations. TU, and its local chapters and state councils, often advocate catch and release regulations where they are appropriate. Typically, catch and release regulations are most useful on streams and rivers where there are highly valuable populations that are facing heavy fishing pressure. Curtailing harvest in these situations can help increase and sustain trout and salmon populations. Typically, catch and release regulations are most useful on streams and rivers where there are highly valuable populations that are facing heavy fishing pressure. Curtailing harvest in these situations can help increase and sustain trout and salmon populations. Is TU tax-exempt under 501(c)(3)? TU’s IRS Determination Letter states that we are tax exempt under section 501(c)(3) of the Internal Revenue Service Tax Code.Please click HERE to access TU’s IRS Determination Letter. How do I contact TU? The majority of TU members are and always have been male, but the ranks of female TU members are growing, and we know that many TU member households include spouses and other family members who also fish and care about conservation. While our membership surveys indicate that the majority of TU’s members prefer fly fishing, TU does not endorse any specific method of angling. Whatever your style, we do encourage catch-and-release fishing as a means of conservation. The only prerequisite for joining TU is that you care about the future of America’s trout and salmon fisheries and their watersheds – and want to do something about it. Who are TU's board of Trustees? TU’s Board of Trustees (BOT) meets in person three times a year to review and approve financial and organizational decisions. The Nominating Committee of the BOT nominates individuals to be at-large members of the BOT. The Chairman and Secretary of the National Leadership Council (NLC) fill two of the BOT positions. The remaining positions are filled by Grassroots Trustees nominated by the NLC. 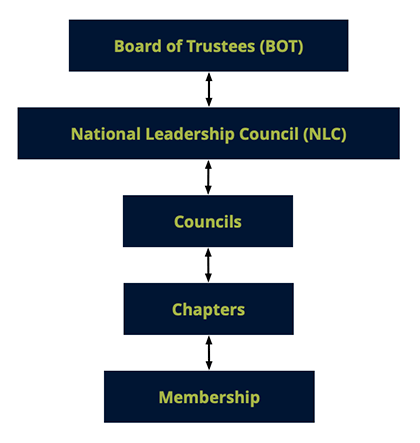 All BOT members serve two-year terms and can serve up to three consecutive terms. Does TU welcome members that employ other methods of fishing other than fly fishing? TU is first and foremost a conservation organization, and we welcome all types of anglers – and non-anglers as well – to achieve our coldwater conservation mission. It’s true that the majority of our members are primarily fly anglers, which is why this is emphasized in our publications and mail campaigns, but we certainly want to hear from spin anglers as well. Our philosophy at TU is that it’s a big tent, and there’s certainly room for fly anglers, spin anglers, and lots of other people as well. Our love of cold clean water, and preserving it for future generations, is what should bind us together – not the type of angler, or bait or fly that one prefers to use. What is TU's stance on stocking non-native hatchery trout over native trout populations? The TU National Leadership Council is opposed to Chapters or Councils stocking non-native hatchery trout on top of native trout populations. Read more about this stance here. Is my letter to my representative or senator effective? How do officials react to the preformatted letters that TU provides for response to specific issues? The gold standard for messages to Congress is an individual’s thoughtful, mailed (or almost as good, faxed) letter to his or her own Representative or Senators with a message that clearly relates to that person’s district and issues. A phone call is also good, but the content is simply recorded on a tally sheet (Issue: for or against). Preprinted/ preformatted letters and faxes are given much more weight if they contain the senders snail mail address, so the office can see that they are from a constituent. An individually written email, from a constituent is afforded almost the weight of a letter. A spam email from a non-constituent is disregarded. Prewritten emails, TU provides on our Stand Up site do get attention in terms of the number received and the message. We encourage activists to personalize the email to reflect your concerns and your state or Congressional district. We also encourage activists to print the letter and mail it (or fax it on fast-breaking issues). We appreciate every member who takes the time to communicate concerns to their representatives. There truly is strength in numbers. Acid rain is caused primarily by the burning of fossil fuels, such as coal, in power plants. The emissions from those fuels result in a reaction high in the atmosphere where the chemicals, namely sulfur dioxides (SO2) and nitric oxides (NOX), bind with moisture, creating a solution of sulfuric acid and nitric acid that then falls to earth as rain or snow. Acid rain causes a cascade of effects in coldwater environments that harm or kill individual fish, reduce fish population numbers, completely eliminate fish species from a body of water, and decrease biodiversity altogether. When TU first issued “”Whirling Disease in the United States”” in 1999, the report included a series of priority research recommendations. Researchers from state and federal agencies and academic institutions have tackled many of the priorities identified in the report; Much of the current research on whirling disease has been funded by the US Fish and Wildlife Service. Unfortunately, funds were cut in 2008. Trout Unlimited has since provided critical research in the area of whirling disease resistant trout. Large dams that discharge water from the bottom of their impoundments (the water held back by the dam) often release clean, cold water that can be beneficial for trout populations downstream. Many large dams have “created” trout habitat in places where there previously was none. Another important consideration for large dams is that they have adequate fish passage facilities because healthy fish populations need to move to different areas of the river for different aspects of their life cycles. Salmon and other anadromous species migrate from the ocean and dams significantly impact their ability to reach their spawning grounds, ultimately affecting the overall species survival rates. We continue to receive questions about where TU stands on the stream access issue. TU recognizes that fishing, including access to healthy rivers and streams, is perhaps the most important motivator for many TU members and other angler concerned about conservation. One of the most important ways that TU works to increase access is through our involvement with state and federal agencies. We work to increase public access to streams and rivers by advocating for increased funding for programs that purchase voluntary easements and access to land from willing sellers. For more information about Trout Unlimited’s Bristol Bay Campaign, visit www.savebristolbay.org. Trout Unlimited is gravely concerned about the imminent threat of Asian Carp invading the Great Lakes. To date we have sent out an Action Alert pressuring federal and state agencies to take the most aggressive action possible to prevent invasion. There was an excellent response by our members to the alert request. We are cooperating with many of the other Great Lakes organizations on sign-on letters to various congressional and federal administration officials requesting urgent action. Another Action Alert is being prepared regarding the proposed legislation from Sen. Stabenow and Card and should be coming out shortly. We are also strategizing with our DC-based policy staff on the best places to apply pressure to ensure that Illinois gets the resources it needs right now to maintain aggressive and high levels of monitoring and control and continuing to pressure the Army of Corp of Engineers to move very quickly on the plan to ecologically separate the Great Lakes and Mississippi systems. What is the Leaders Only Section (LOS) and who is it for? How do I access it? What tools are available? If you are a chapter or council leader and you login to the website, the “Leaders Only Section” link will appear in the drop down menu after hovering over “Get Involved” at the top of the page. Your leadership role determines what access you have within the LOS. If you do not have access to the LOS and you are a current chapter or council leader, please contact your Chapter President or Council Chair to grant you access to the LOS, or TU’s Volunteer Operations Director Jeff Yates. Does my chapter or council have to file taxes? Each entity (chapter and council) under the exemption has their own employer identification number (EIN.) If you can’t find yours, look at the top of the Annual Financial Report in the Leaders Only Section or contact volunteer operations staff. Each entity is required to file its own tax forms with the IRS. TU national cannot file on a chapter or council’s behalf. Required forms to file with the IRS (Questions about the correct Form 990 to file? Please visit: www.irs.gov or contact volunteer operations staff for more information. Gross receipts over $50,000 on average over three years? Should you prepare it yourself? These forms are long and sometimes complex, so get help (from an accountant experienced with nonprofit orgs.) if you are not comfortable. Legally, TU national cannot give you advice on how to fill this out. Gross receipts under $50,000 on average over three years? Should you prepare it yourself? Yes. It is a very simple form asking for basic information. The Forms 990N, 990, 990T or 990EZ must be filed by the 15th of the 5th month after your chapter’s fiscal year end. Because TU’s fiscal year ends on September 30, required forms are due to the IRS on February 15. Check with your state tax authorities for local state filing requirements. There are additional, separate requirements for reporting ‚Äúunrelated business income. If a nonprofit’s gross proceeds from unrelated business income exceed $1,000, that income must be reported to the IRS using Form 990T. If your chapter or council conducts a revenue generating business, and the gross revenue from that business exceeds $1,000, you should consult with your chapter’s accountant regarding whether that revenue constitutes unrelated business income. The most common examples of unrelated business income include advertising income from the sale of ads in newsletters and magazines, revenue generated from fishing trips that are not educational or conservation oriented, and fees collected for the use of facilities or land owned by the organization where the use of the property is not directly related to the exempt purpose of the organization. Revenues from raffles, banquets, auctions, and other sales of donated merchandise do not count as unrelated business income. Automatic revocation of your exempt status. Officers at time of non-filing cannot be officers in the organization going forward. TU national cannot appeal on your behalf. Send of a copy of your Form 990/990EZ/990T or 990N via email to Nick Halle at nhalle@tu.org TU staff will be tracking this and will be in contact with leadership to ensure all chapters andcouncils file. For more information, please contact the Volunteer Operations Department. Are thank-you notes to chapter/council donors required by law? Donations to TU are tax-deductible (minus the retail value of any goods or services received). Individuals claiming deductions for gifts of $25.00 or more must obtain an acknowledgement from their chapter council or TU National, depending upon the entity to which they donated. How can I obtain information on TU's financial history? Where can I get a copy of TU's financial statements, or 990 form? All of TU’s financial information can be found online HERE. TU’s EIN # is 38-1612715. If you wish to make a donation to TU ‘in honor of’ or ‘in memory of’ a friend or family member, Please call 1.800.834.2419 and we can process your gift. How can I learn more about planned giving, estate planning, or endowment programs with Trout Unlimited? If you would like to receive information on planned giving, or endowment programs with TU, please contact Anderson Smith, Planned Gifts Officer, at (703) 284 – 9421 or email him at asmith@tu.org. TU greatly appreciates you thinking about our organization when it comes to planning your estate and philanthropic gifts. Your generosity helps us to accomplish our mission: to conserve, protect, and restore North America’s coldwater fisheries and their watersheds. Auctions and raffles are a popular way for chapters and councils to raise funds to support their local activities, and the Fundraising Program was designed to help you in that effort. Simply login to TU.org as a chapter leader and access the access the Tackle Box via the Leaders Only Tools (located in the “Get Involved” header drop down). This fundraising program displays partnering companies that want to support our grassroots efforts with a selection of their newest products. Discounted merchandise at margins up to 50% directly affects your success in raising needed funds for your chapter’s or council’s projects and operations. Should you require additional information on TU’s fundraising and banquet program, please contact Nick Halle at nhalle@tu.org. Information on TU's quarterly TROUT magazine. The first edition of Trout magazine was Vol. 1, No. 1 published in Winter 1959 featuring a picture of George Griffith in a drift boat, fly rod in hand, on the Au Sable River. Trout is mailed in bulk, so it takes from 2 – 3 weeks before you may receive it. If you are an active member and missed an issue, please contact us at 1-800-834-2419 or email trout@tu.org, to ensure TU has your current address on file. Please reference your full name, address, and member ID in your email. If you are receiving more than one copy of Trout or other mailings, we may have a duplicate record on file for you. Again, please contact 1-800-834-2419 or email trout@tu.org with your full name, address and member ID (and please reference any previous addresses if you have moved). Once your duplicate record is verified we will be able to consolidate your membership records. How can I place an advertisement in TROUT Magazine? Classified Ad Rates are $2 per word for members and $2.25 per word for non members. Phone numbers, addresses and emails are one word. Contact Samantha Carmichael at scarmichael@tu.org or (703) 284-9422 to place an ad. For Display ads please contact Tim Romano at info@timromano.com or (303) 495-3967. Learn more about Trout Magazine. How can I submit a letter to the editor and have it published in TROUT magazine? Include the topic or headline and date of the article, editorial or opinion piece to which your letter refers. Be concise. Letters are selected based on clarity of thought and response to current events. Not all letters will be published. If your letter is selected for publication, you will be called for verification. You may mail, fax or e-mail your letter, but letters must include your full name (no initials), address and daytime and evening telephone number(s) for verification. Only your name and city of residence are published. Letters may be edited for publication and become the property Trout Unlimited. How do I submit a photo for consideration in TU publications? Please send your photo to tumembership@tu.org with “Photo Submission” in the subject line. What is the "First Cast" program? First Cast is TU’s nationwide initiative to introduce youth to coldwater conservation through angling. The program is the result of a partnership between TU and the Recreational Boating and Fishing Foundation (RBFF), working on the premise that many of our most dedicated conservationists are also avid anglers. The initiative offers low-cost, high-quality tackle, educational materials and books. Youth are taught by conservationists and anglers, and many come away with a love for the sport and a deep appreciation for our natural environment. Learn more about the First Cast Program and access the manual and curriculum, which is based on the fly fishing education curriculum written by Phil Genova. Do you have any information on environmental education programs for youth? How is TU reaching out to our next generation? As part of TU’s efforts to identify and mentor the next generation of coldwater stewards, youth outreach has become an integral part of TU’s overall environmental education agenda. Our chapters are enthusiastic and dedicated to teaching the next generation about the importance of coldwater conservation, and our national programs reach many thousands of young people each year. Programs include camps, a teen summit, the Five Rivers college programs, Trout in the Classroom, and youth memberships. How can I get more involved with TU? How can I contact my local chapter? Opportunities to get involved vary throughout the year and depending on your location. If you are a current member of TU and have never attended a local chapter meeting, you are encouraged to do so. Each local chapter differs with what they have going on, projects they are involved with, and how often they meet. Please contact your local chapter president to find out more about your chapter. Your chapter president can be found online by searching for your local chapter at tu.org/connect/chapter-search. Membership in your local chapter is one of the benefits of your TU membership. Local TU members are essential to carrying out TU’s conservation mission –they serve as “on-the-ground” citizen scientists, restore and protect their streams, teach aquatic education, collaborate with landowners and agencies, and more. Through conservation, education and advocacy, chapters enhance TU’s work in local communities, giving every member the opportunity to make a difference for trout and salmon. What is TU's Embrace-A-Stream program? How do I apply for a grant for my local chapter? Embrace-A-Stream (EAS) is TU’s flagship grant program for funding grassroots conservation efforts that advance TU’s mission of conserving, protecting, and restoring coldwater fisheries and their watersheds. Overseen by a committee of TU volunteers and administered by its national office, Trout Unlimited annually raises money from TU members, corporate and agency partners, and foundations to distribute as small grants to local TU projects. For more information on TU’s EAS program go to tu.org/eas. The Open Forum Online Community found at community.tu.org is the newest benefit for the members of Trout Unlimited and is a separate platform from the original tu.org site. If you are a member and have never created a community password or don’t remember your password please use THE COMMUNITY PASSWORD RESET page to get started. You are welcome to preview the Open Forum’s latest discussions by visiting the community home page. Feel free to reach out to the Community Manager if you need further assistance. What are the benefits that are included in my membership? Do they differ based on membership level? 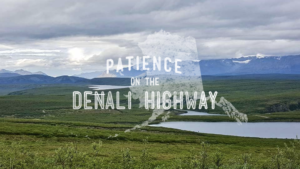 Opportunities to enter and win trips, gear, and much, much more! Please visit tu.org/member-benefitsfor a full listing of TU member benefits. Trout Unlimited works hard to maximize revenue to support our mission while striving to maintain and grow membership. Direct mail and online fundraising are our primary tools for raising money from individuals and ensuring a stable membership count. We follow industry best practices, expert guidance, and years of testing. To quote a longtime TU member and volunteer leader who spent his career in direct marketing, “Doing direct mail and email solicitations is a science ‚ to send or not to send, how often, whether to do it via print or email, is carefully calculated on statistics, cost and revenue. It is not willy nilly.”We are always working to improve our process and looking for ways to be more efficient. If you would like to reduce the amount of mail and email you receive from us, you can set up automatically renewing membership payments online at www.tu.org/sustain.You can also call us at 1-800-834-2419 to request other changes to how and when we communicate with you. How am I assigned to a chapter? How can I change my chapter membership? How can I join a specific chapter of TU? When you join TU, you are assigned to a local chapter based on your zip code. All chapters have specific geographic regions based on zip code boundaries determined by your state’s council. To find a chapter near you please CLICK HERE. The only exception to this chapter assignment rule is if you were recruited by a local chapter and mailed in a new membership application form, or joined online via the chapter recruitment page that prompted you with a drop-down list to select the chapter you would like. If you are a chapter leader helping a few of your chapter members with assignment issues, you can contact Volunteer Operations with the above information. Please note: Membership in TU allows you membership in one chapter. TU cannot assign you to more than one chapter. An alternative is to contact the additional chapter(s) you’d like to stay in contact with and have them add you to their mailing list. TU is sensitive to member concerns about privacy issues. Under no circumstances will TU make a member’s email address or phone number available to outside parties, however we do provide council and chapter officers member contact information to assist them locally. Councils and chapters are not authorized to transfer member information to third parties (i.e. fly shops, other local businesses). TU does occasionally rent or exchange street address information with other organizations, for example Fly Fisherman magazine, Cabela’s or Orvis. TU bases its decisions on a variety of criteria including a review of the promotional content and a determination as to whether the mailing competes with any TU initiatives. Third parties are not allowed to use the TU name or logo; promotional materials are generic in nature and do not imply a TU endorsement. It is also important to note that mailers do not “buy” TU member names; each rental/exchange is for a one-time use only. TU members may opt out of mailing list rentals. In each issue of Trout, the policy is stated up front, on the same page as the “Letter from the President Opting out does not remove members from TU’s internal mailing list, which means that they will still receive Trout and any other TU-generated mail, including materials generated by local chapters and councils. Members who wish to receive less mail from TU must put in a separate request. What information do I need to have on the check that is auto-drafted by my bank each year to renew my TU membership? Your membership ID number. (This is your 9-digit member ID number found on your TU membership card.) This ensures that we are crediting the appropriate account and not creating a duplicate record for you. Denote “renewal” on the check . This ensures that we are crediting your payment as a membership renewal dues and not as a gift to a current fundraising campaign. If you have any questions regarding this matter, please email us at trout@tu.org. How can find my local chapter? Find your local chapter via our Chapter & Council Search at http://www.tu.org/connect/chapter-search. Enter your zip code to find chapters in your area. By clicking on the chapter name you can view details on chapter contact information, website, newsletter, next meeting date and time, and calendar of events. I have moved, how do I change my contact information like my email, phone number, and address? Please keep TU updated with your most current contact information. This prevents you from missing out on member benefits such as the quarterly Trout magazine. It also allows your local chapter to contact you with information about meetings, outings, and projects. Please call 1-800-834-2419 or email trout@tu.org to update your contact information. Are all TU premiums made in the United States? Trout Unlimited is known, in part, for the vast array of gear and other gift items we send our members and supporters in thanks for their generous contributions. We believe offering such items encourages both a love of the sport and an appreciation for TU’s mission and is therefore an appropriate way to express our thanks to those who make our work possible. Many of the items we offer are made in the USA. Some are partially manufactured overseas but assembled in the US, and some are entirely foreign made. Although we seek as often as possible to provide items made in the USA, there are times when it is more cost-effective to purchase from outside the US, which allows us to focus more of our member’s contributions on our conservation activities. We understand the concerns of some of our members around this issue. We feel a deep responsibility to spend our members’ contributions as efficiently as is reasonably possible. Our goal is to direct the vast majority of our resources to our fisheries and watershed conservation work. One way we keep our expenses in check is to seek products that are appealing, well made and competitively priced. Some items simply aren’t available in the US at the quantities and prices we seek (our flies, for instance, which are made in Africa). Other items would lack variety if we featured only those manufacturers on US soil (rods, for instance). We hope that by offering an array of items each year, those members who wish to support TU and receive a gift in thanks can find products they’re comfortable receiving. How did you get my name to solicit me? Why did I receive a membership offer when I'm already a member? In efforts to increase our membership numbers, TU obtains names and addresses of prospective members from a variety of sources including the web, various catalogs and subscriber lists, and like-minded nonprofit organizations. Please accept our apologies if you are already a member and receive additional membership offers from us. We do our best to screen out our existing member names from outside lists, but sometimes these mailings are sent to members with more than one address or version of their name. For example, our screening may not recognize R. John Smith and R. J. Smith as the same person, or may not recognize a company versus home address under the same name. If you believe we may have duplicate names on our database for you, please contact us at 1-800-834-2419 or send an email to trout@tu.org. Why am I receiving a Membership Renewal Notice? Membership renewal notices begin mailing out 5 months prior to your expiration date. There is no penalty to renewing early – it will add a full year on to your current expiration date (you are not deducted any months for renewing early). You will continue to receive notices until you renew your membership, or your membership expires. Those wishing to reduce the mail received can sign up for auto renew at tu.org/sustain. You may also find tune the amount, frequency, and type of communications you receive by emailing trout@tu.org or calling 1-800-834-2419. If you recently submitted your renewal dues payment and subsequently received an additional renewal notice, please accept our apologies. It is possible they crossed in the mail. There is always a period of time between when names are pulled for the next round of renewal notice mailings and when payments are coming in to be processed. If you continue to receive renewal notices, please let us know by emailing trout@tu.org or calling 1-800-834-2419. Does TU offer a license plate for my automobile? You will need to contact your state’s Department of Motor Vehicles office to find out if they offer a TU license plate. These are state run programs not processed through TU National. Each state council must apply individually to the state DMV to create TU license plates in their specific state. I'm new to fishing and need some help getting started. What do I need to know? Whether you are a fly fisher, spin fisher, bait fisher, deep sea fisher….welcome! While Trout Unlimited’ s membership base is primarily made up of fly fishers whose passion is trout, we welcome all to our angling community. If you are a TU member, you may contact your local chapter. TU members are often eager to share their stories and tips and tricks for catching fish locally. You’ll find TU members to be some of the most knowledgeable and helpful anglers on the stream. If you are not a member of TU, click here to join today! Tu.org is also a great way to learn more about fishing. The website houses discussion boards for advice, tips, and more. You can join a group of like-minded anglers and strike up conversations, share photos, etc. You can also check out our fishing library at tu.org/shop. Finally, practice of practice, practice, practice and you will see a world of endless possibility. And if you don’t catch a fish, no worries! Just being out on the water makes for a most excellent day! TU has offered return address labels in the past. Are they still available? TU occasionally sends members traditional return address labels as a modest gift to show our appreciation for their generous support. Additionally, TU works with VistaPrint to offer to members custom labels at a low price. Go to VISTAPRINT.